Ancient. crumbling ruins of Bayon Temple. 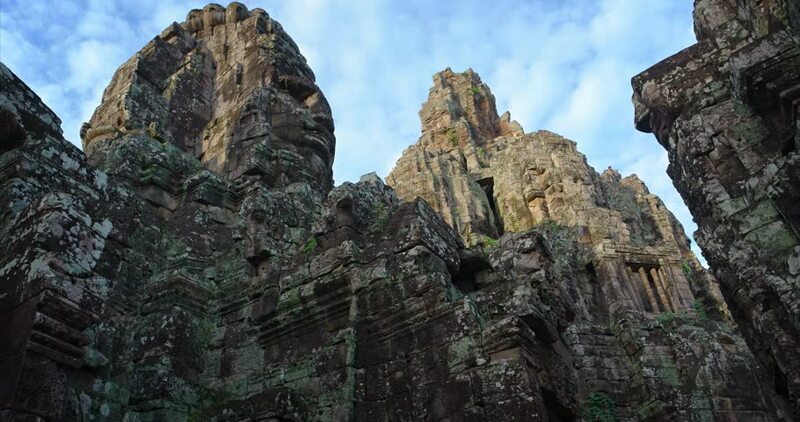 an important cultural and historical site in Cambodia. with its intricately hand-carved exterior. 4k00:37One of the most beautiful places in Kyrgyzstan is Jeti-Oguz, or 7 bulls, this is the name of this place.